After reaching an all time high in August, Iraq’s oil exports have decreased the last two months. Fortunately, prices have continued to go up making the country more and more profits. In October, Iraq exported an average of 3.469 million barrels a day. That was down from the post-2003 high of 3.583 million in August, but in line with the year’s average of 3.4 million. Iraq’s exports always ebb and flow so this normal. Oil prices have been higher than expected this year. Iraqi oil sold for $74.91 per barrel in October, up from around $60 per barrel from April to August, and September’s $74.15. This is in part due to tensions between the Trump administration and Iran, and new sanctions. 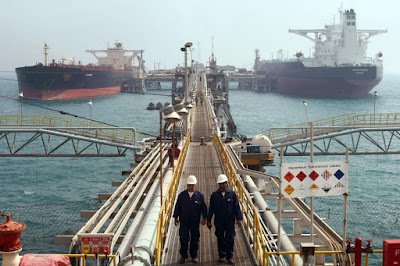 The higher oil prices have meant that Baghdad was able to make more money even though exports have gone down. In October it earned $8.055 billion, the most since May 2014 when it made $8.077 billion.